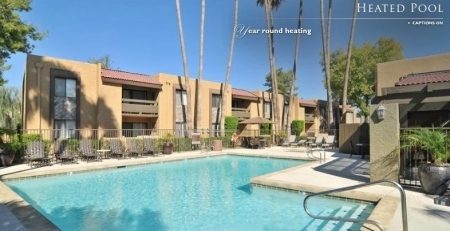 Located in a peaceful and private community, Scottsdale Terrace, a Scottsdale Arizona vacation rental is a perfect place for vacationing amid a beautiful natural setting. 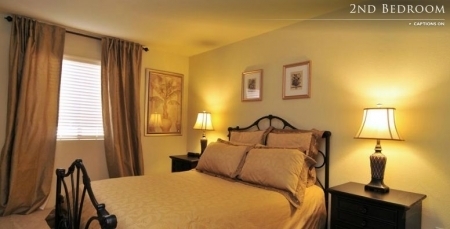 Not only does this condo provides exquisite furnishings but also offers easy access to bird sanctuary and golf clubs. 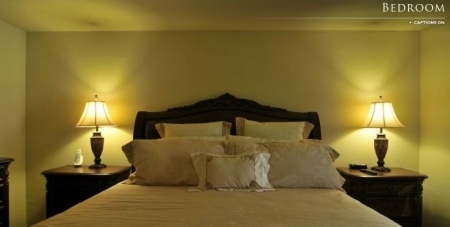 Featuring luxury and comfort, our Scottsdale Arizona vacation rental consists of a king-size bed and a queen-size bed for a pleasant stay of five vacationers. 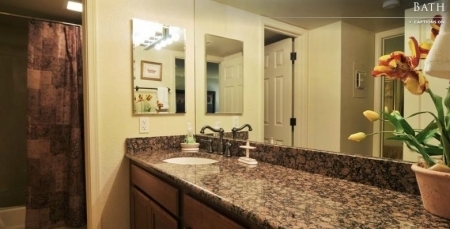 The two bathrooms are adequately fitted with all the essential amenities for your convenience. The capacious living room of this Scottsdale condo rental features designer furnishings and includes facilities such as big screen TV, cable TV and high speed Internet access for the entertainment of the entire family. 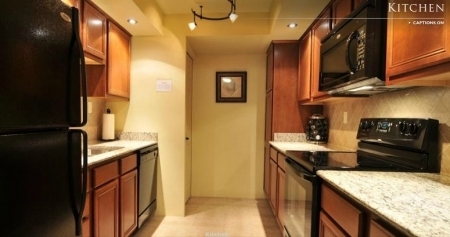 The fully equipped kitchen comes with new stainless steel appliances to let you cook your favorite dishes and relish them together at the dining table. 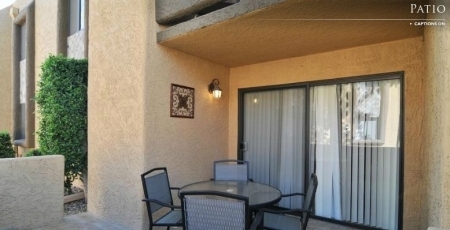 Avid golfers would be delighted to stay at our Scottsdale condo near golf course. Moreover, the adventure sports lover can head for an exciting tour of bird watching, rock climbing, sightseeing or opt for a hot air balloon flight. Numerous restaurants and bars are very close to our villa, where you can enjoy fabulous food and wines. 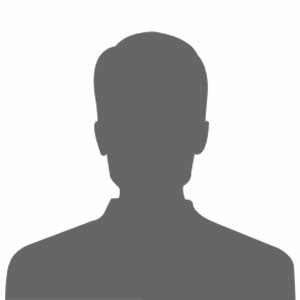 Rules: Rates are based on double occupancy. 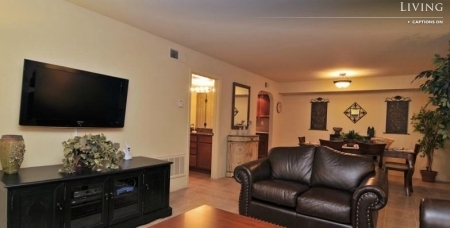 $500 credit card security deposit due at booking, refunded within 5 days of departure when suite is smoke, pet and damage free. All suites are NON - smoking.